CooksRecipes has quality, kitchen-tested recipes for diabetic-friendly pies and pie crusts that you can count on for accuracy and deliciousness. 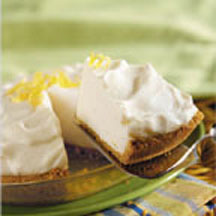 A quick and easy lemon pie bursting with lemon flavor. The perfect ending to a meal. 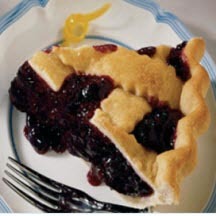 Lemon paired with blueberries brings out the delicious flavor of this summer fruit. 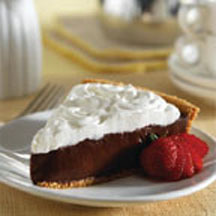 Deliciously rich chocolate cream pie without all the added sugar- so you can definitely treat yourself to a few of those chocolate sprinkles on top!